Neither you nor anyone else at this aid station has medical training. You’d meant to sign up for that Wilderness First Aid course last weekend, but you went on a long run instead. All the other volunteers are busy, so you pick up the first-aid kit and head over to the injured runner hoping it’s nothing serious. “He fell and cut his knee!” his crew tells you. You look at the knee. It looks like most of the other bloody knees that have come through the aid station today. 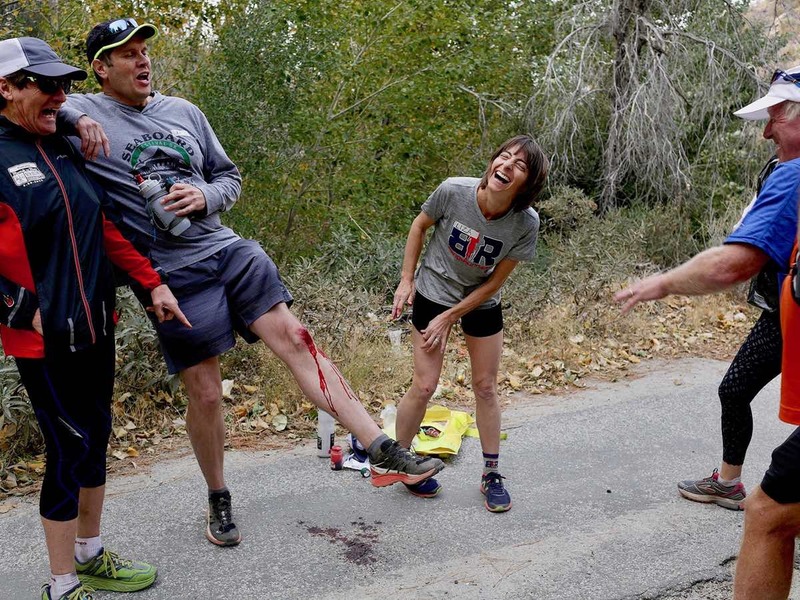 A typical trail runner’s bloodied knee. All images courtesy of Liza Howard unless otherwise noted. “How can I help?” you ask the runner. He tells you he wants you to clean and bandage his knee. You tell him he might just go ahead and wait until the end of the race to deal with it. But he’s adamant. He doesn’t want to spend the next 10 miles with blood dripping into his sock. Fair enough. Question: What’s the best way to clean this wound and prevent infection? A. Put gloves on and scrub the wound with soap and drinkable water. B. Use a stream of drinkable water from a water bottle to clean it. C. Use a stream of drinkable water from a pressure irrigation syringe to clean it. D. Pour hydrogen peroxide over the wound, then flush it with drinkable water. Answer: C. Use water from a pressure irrigation syringe to clean it. 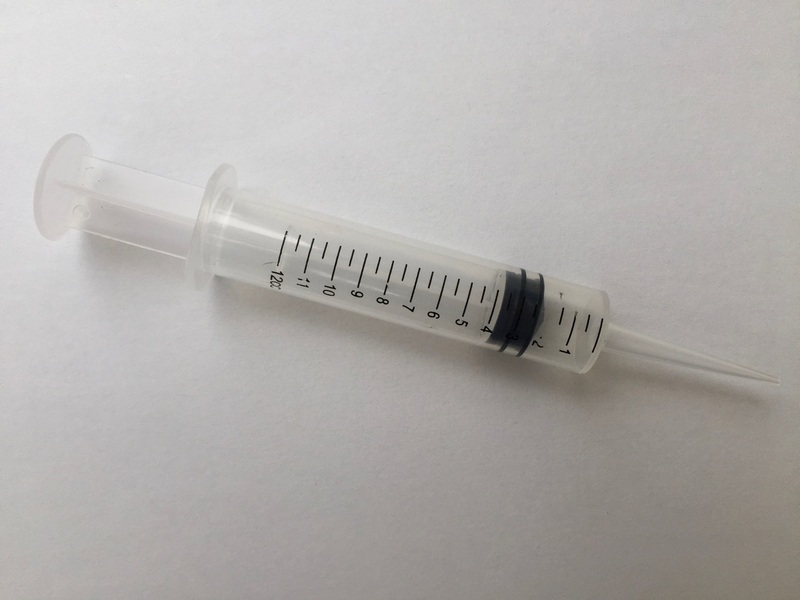 For effective wound cleaning, pressure irrigation syringes are worth their weight in gold. They blast dirt and germs out of wounds. Water squirted from a water bottle or water-bladder tube can’t compare to the water pressure from an irrigation syringe. But, of course, flushing a wound with clean water by any means is better than nothing. 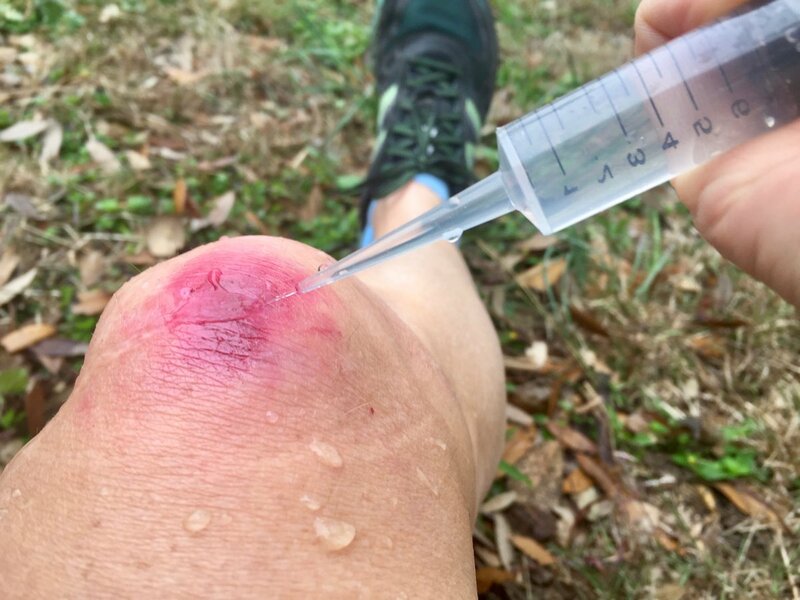 Irrigate the runner’s knee with until it looks nice and clean. Keep the syringe tip close to the wound. Pressure irrigation of a knee wound. The pressure will be a bit uncomfortable for the patient. If it’s not, you’re not doing a good job and the chance of infection later is higher. 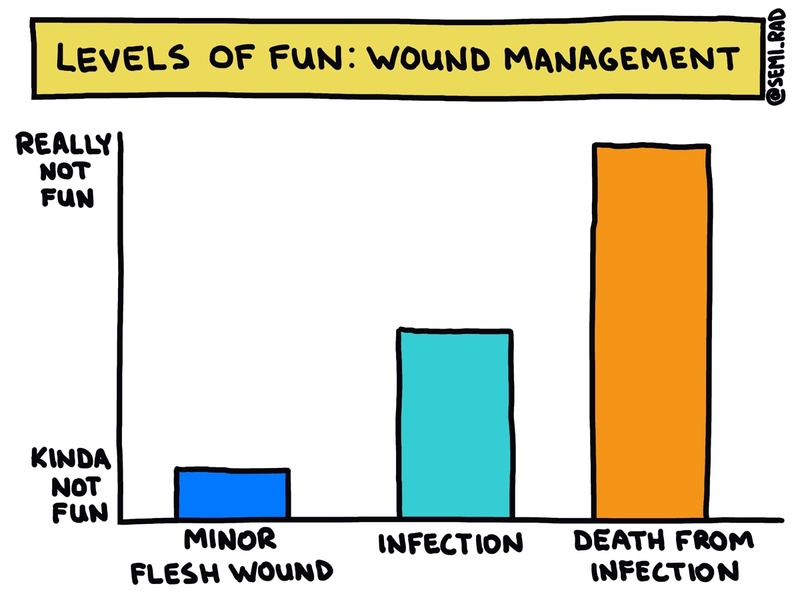 A good rule of thumb is to use half a liter of water to clean the wound. After the wound is clean, you can cover it with a piece of gauze. 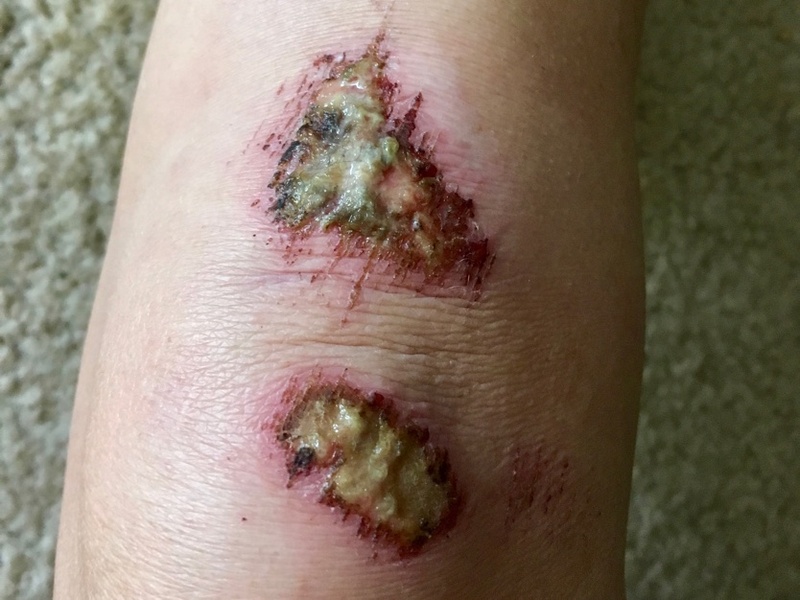 A knee wound covered with gauze. But how are you going to get the gauze to stay put? This runner has another 10 miles to go before he finishes. Allow me to introduce you to the magic of self-adherent wrap! Brand name: Coban. Coban is similar to a fabric elastic bandage, like an ACE wrap, but it’s infinitely better because it sticks to itself. Coban will stay put when you’re running and doesn’t require pins, clips, or knots. And, magically, Coban doesn’t stick to anything besides itself. It doesn’t stick to your skin, your wound, or your clothes. So it doesn’t impede your movement like tape or an ACE wrap on your knee might. It’s also water and sweat resistant! You can find Coban at most any drug store and most supermarkets’ first-aid sections. Knee wrapped with Coban and ready to run. The runner finishes the race with his knee and knee bandage intact. His crew thinks he’s amazing and lavishes praise on him. At the hotel that night, he removes the bandage from his knee to take a shower. He washes the intact skin around the wound with soap and water, avoiding the wound itself. Question: Should he keep the bandage off overnight to let the wound air out? Answer: B. No. I know, I know; your mom told you otherwise. Mine did too. But the reality is that the wound will heal more quickly and it’ll be less likely to scar if you keep it moist. The runner should put some antibiotic ointment on the cut, cover it up, and go to bed. The antibiotic ointment will do a nice job of keeping it moist. Or, he can cover it with a transparent film dressing instead. These films are like medical GORE-TEX. They’re waterproof but breathable. You put them right over the wound without any antibiotic ointment. The film keeps the wound moist. These film dressings can stay on while the wound heals as long as the wound doesn’t look infected and there’s no accumulation of pus. Sweaty runners will usually have to change them after each run though. A knee wound covered by waterproof transparent film dressing. 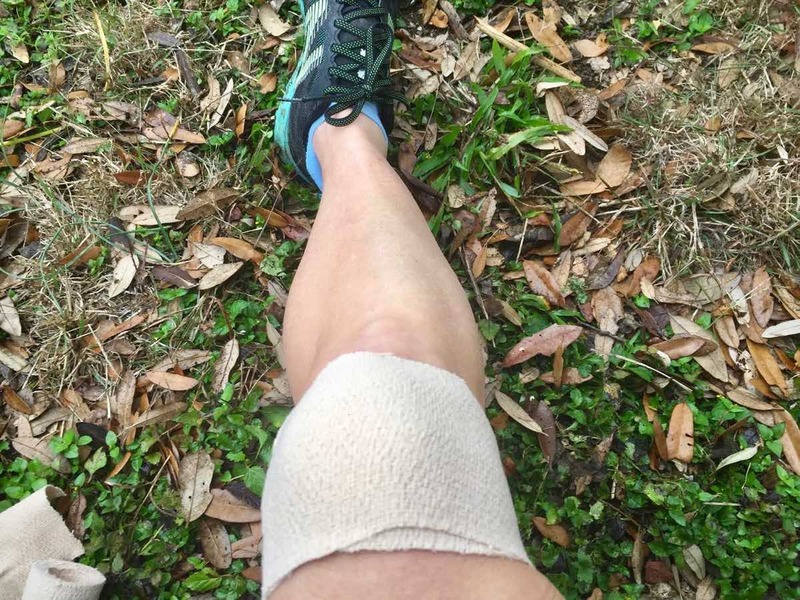 Your running buddy texts you this picture of her knee two days after a fall. “Do you think it’s infected?” she asks. Question: Well, is it infected? Answer: A. Yes! This is a lovely mild infection. There’s the classic redness and a bit of swelling, along with some laudable pus. Your friend also tells you the skin around the cut feels warm and it’s a bit tender to the touch. Question: What should your friend do? A. Put gloves on and scrub the wound with soap and water. B. Use a stream of water from a water bottle to clean it. C. Use a stream of water from a pressure irrigation syringe to clean it. D. Pour hydrogen peroxide over the wound, then flush it with water. I hope you got that right! The treatment for a mild infection is simply to re-clean the wound. Soak the wound in hot water for 20 minutes or put a hot compress over it before you clean it. That will soften any crusted pus or blood, increase blood flow to the wound, and increase drainage of deeper wounds. She should clean it and use hot soaks twice daily until it no longer looks infected. If there’s no improvement in 12 to 24 hours, it’d be best for her to get the infection checked out by a medical professional. 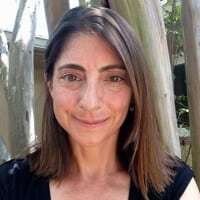 And certainly if she developed systemic symptoms like a fever, swollen lymph nodes, or red streaking away from the cut, she should get herself to a clinic to be evaluated. Mild infections can progress to serious, life-threatening infections quickly without appropriate interventions. 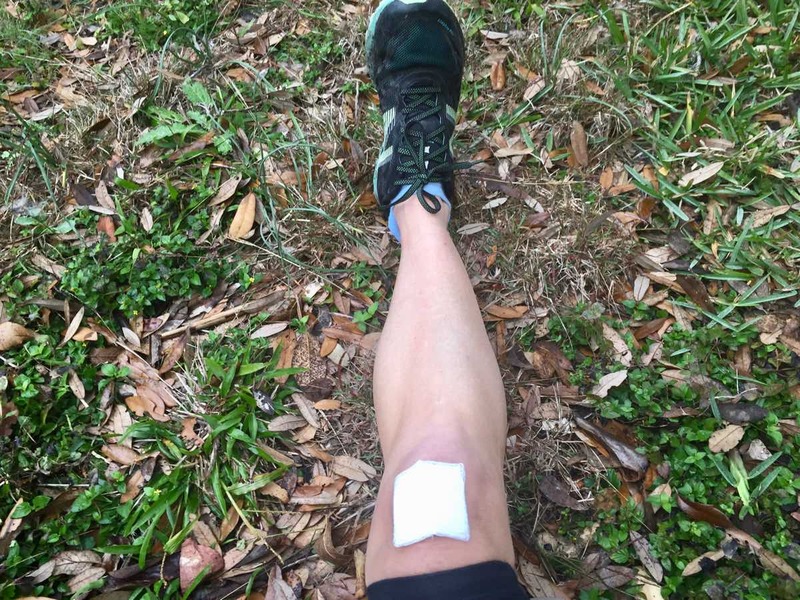 Please share your best or most ridiculous trail running wound story! And, in that story, what did you do to treat your wound? Here are pictures of my most brutal trail wound: https://imgur.com/a/KTKLlxi The dumb irony of that injury is that I was starting a new job and was celebrating the end of my last shift at the hospital I’d worked at for 5 years when I fell and ended up back in the ER of that same hospital system. As to how I treated it…I power hiked back to my car as quickly as I could, saw another runner who had just finished a run and asked if I could have the sweaty towel he was using to dry off (not the cleanest wound care management, but whatever), tied that around my knee, got to my car and tied a shirt on top of the towel and then promptly got myself to the ER as quickly as I could before the adrenaline wore off. All in all I was very lucky that I didn’t hit anything important, like that patellar tendon. 0/10, would not recommend. Wow! That’s a good one. I hope everyone was especially nice to you in the ER. And you did the big step I didn’t talk about it this article: Stop the bleeding. Just right. I like to let it bleed for a bit – the blood will help wash out any crud that’s likely to cause infection. Better to wash out with the syringe of course, thank you, will add that to the kit. Worst trail cut I saw was on a Boy Scout backpack trip, kid fell while fishing and sliced his forearm open. We had an ER doc with us, he washed out and then glued the cut back together ? Five years later that young man still has an impressive scar..
My dog has a bad habit of hurtling under barbed wire fences at speed and tearing his back open.. more than once I’ve had to staple him together with a skin stapler. So far no infections, wash out with the water bottle, then scrub with an alcohol pad. The dog knows I’m trying to help him so doesn’t bite, even though this must hurt him considerably. On cold days I put him in a neoprene jacket so that tears instead, replace the jacket every few years. Thanks for the comments, Doug! Those barbed-wire cuts made me wince. The REI course are all NOLS Wilderness First Aid Courses are taught by some incredible instructors. Re: Coban. You can find a great variety of colors at a farm/ranch store in the veterinary supplies. And it’s cheaper than the human supplies. Also, if you keep a roll of coban in your pack for very long it’ll squish together and be useless after a while. But it’s the best stuff, anybody with kids should have a few rolls. Steve, I’ve always said the same about the Coban prices, but the online the prices are about the same now. I’m sure they’re still a big difference at the actual stores. Agreed about the squishing! 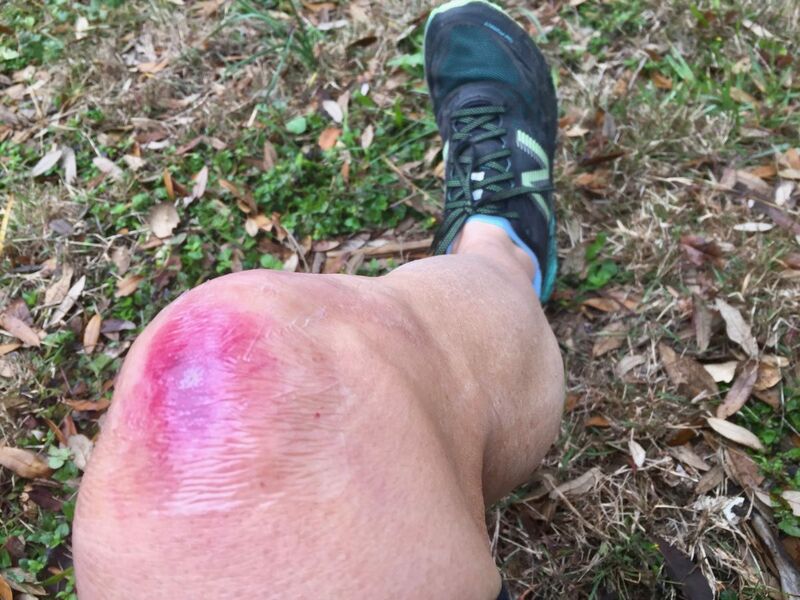 I’ve had my fair share of trail kisses but luckily (knock on wood) they’ve always been minor – the odd scraped up ankle or shin from taking a trail too tricksy for my talent. The best wound I got though involved a navigational mishap and a barbed wire fence – I ducked under it and thought I’d got away with it, until someone pointed out I had blood on my hand…. Lo and behold, I had a couple of rakes down my upper arm that looked far more impressive than they were, so I just let them bleed and close up on their own. Got a nice set of scars out of it though, I looked like I’d had an argument with a lion! As for wound care, this always makes people wince but I carry little sachets of ground pepper in my mini-med kit for the kind of open scrapes that tend to just stick (and start healing to) to plasters if you dress them and reopen every time you have to change the dressing /shudder. Wash it out with a bottle, and pepper it up. It stings like a b**** but the wound is instantly disinfected, dry and has a scab/skin over it so I can keep running without it bleeding all over the shop. Bit rough and ready, but has been handy when I’ve taken bits out of my knees falling over. It just looks alarming when people see it! Barbed wire wounds. Ugh. I dread those. I talked to Tod Schimelpfenig, our curriculum director, about the pepper and he’s heard of people using it before, but he can’t find any evidence of its antibiotic properties. Let me know if you know of any research out there. So interesting. 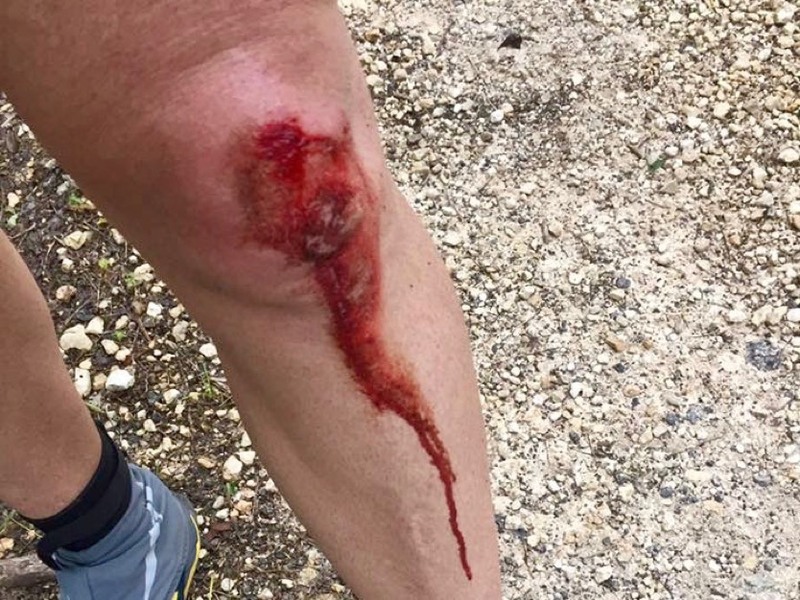 During my last commute run, I got attacked by a dog and ended up with a bite in my knee. Fortunately, I live in a rabies-free country and I confirmed with my M.D. that my tetanus vaccination is still not expired. So I just cleaned and disinfected it, as a minor flesh wound. Are any other specific risks related to animal bites?